Energy producers are looking for new possibilities to re-use combustion process by-products. Landfill disposal is no longer a viable option. Nutrient-rich bio fly ash is an excellent fertiliser. The environmental and recycling industry now has the opportunity to expand into bio ash management and forest fertilising services. Energy providers and forest owners are keen to purchase complete service packages. We help environmental and recycling companies to turn energy production by-products into sustainable business. 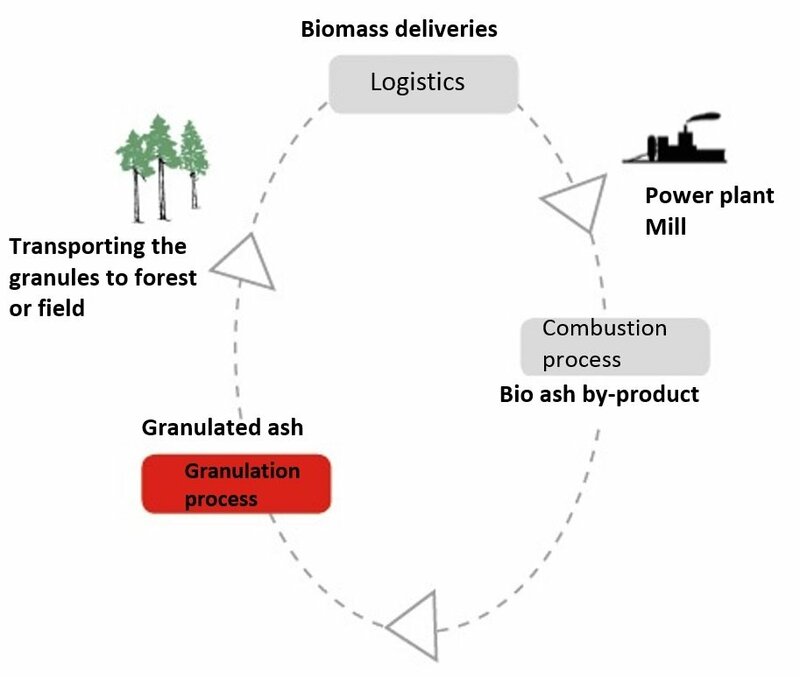 Productising bio fly ash into a commercial product is more than just granulation; it is a series of actions and services. Contact us and we can expand your business together.